Below you fill find all funeral homes and cemeteries in or near Gurnee. 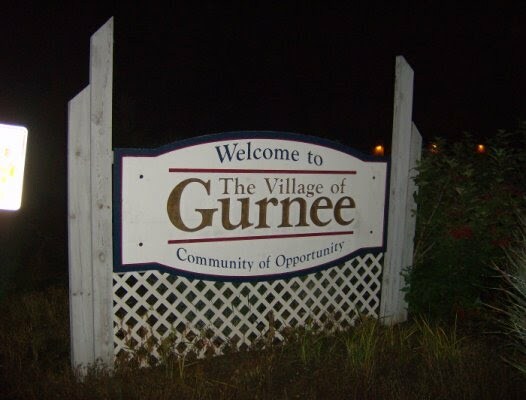 Gurnee is also known as: Lake County / Gurnee village. Zip codes in the city: 60031. Some of the notable people born here have been: Kevin Anderson (actor and singer), Greg Rallo (ice hockey player), Kim M. Ferry (key hair stylist), and David Wagenaar (cinematographer). Gurnee is a village in Lake County, Illinois, United States. The population was 31,295 at the 2010 census. The village borders the city of Waukegan and is considered a part of the Chicago metropolitan area. Gurnee is perhaps best known for being the location of Six Flags Great America, a major regional theme park, and Gurnee Mills mall, together drawing over 26 million visitors annually. It was noted by The Daily Herald on February 22nd, 2019 that Cecelia Kulczycki (Pielach) perished in Gurnee, Illinois. Ms. Kulczycki was 85 years old. Send flowers to express your sympathy and honor Cecelia's life. It was written by The Daily Herald on February 9th, 2019 that Armano R Canilang perished in Gurnee, Illinois. Canilang was 68 years old. Send flowers to share your condolences and honor Armano R's life. It was written on December 7th, 2018 that Gregory L Yanik perished in Gurnee, Illinois. Yanik was 69 years old and was born in Owosso, MI. Send flowers to express your sympathy and honor Gregory L's life. It was reported by The Daily Herald on December 3rd, 2018 that Dennis M Haley died in Gurnee, Illinois. Haley was 74 years old. Send flowers to express your sorrow and honor Dennis M's life. It was reported by Chicago Tribune on November 28th, 2018 that Louise Lyons passed away in Gurnee, Illinois. Lyons was 91 years old. Send flowers to express your sympathy and honor Louise's life. It was disclosed by Chicago Tribune on October 14th, 2018 that Rhoda M Bergmann (Brauer) passed on in Gurnee, Illinois. Ms. Bergmann was 95 years old. Send flowers to express your sympathy and honor Rhoda M's life. It was noted by Chicago Tribune on September 23rd, 2018 that Eric J Frystak died in Gurnee, Illinois. Frystak was 57 years old. Send flowers to express your sympathy and honor Eric J's life. It was disclosed by The Daily Herald on August 28th, 2018 that Stephen Wayne Sizemore perished in Gurnee, Illinois. Sizemore was 61 years old and was born in Savannah, GA. Send flowers to express your sympathy and honor Stephen Wayne's life. It was reported by Chicago Tribune on August 14th, 2018 that Maria Visconti passed away in Gurnee, Illinois. Visconti was 80 years old. Send flowers to express your sorrow and honor Maria's life. It was revealed by The Daily Herald on July 21st, 2018 that Stanley Brandel died in Gurnee, Illinois. Brandel was 92 years old. Send flowers to express your sorrow and honor Stanley's life. This road was "laid out" in 1836 by three early settlers, Thomas McClure, Mark Noble, and Richard Steele. Later a stationary wooden bridge was constructed, and still later an iron bridge was erected. The flood caused major building damage and flooded roads that overpassed the Des Plaines River. Gurnee. At the intersection near Viking Middle School (Grand Avenue and O'Plaine Road), people had to canoe to get out of their house. The official website for the city of Gurnee is http://www.gurnee.il.us. We work with local florists and flower shops to offer same day delivery. You will find budget sympathy flowers in Gurnee here. Our funeral flowers are cheap in price but not in value.